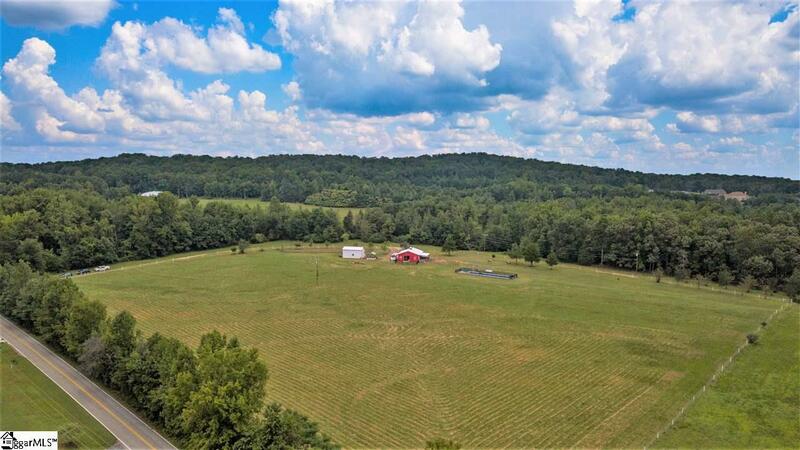 Located in a beautiful setting, this 10-acre horse farm offers numerous options to fit your equestrian lifestyle. The acreage includes coastal and fescue grasses, improved with complete fencing w/ large posts and high tensile white vinyl covered wire. 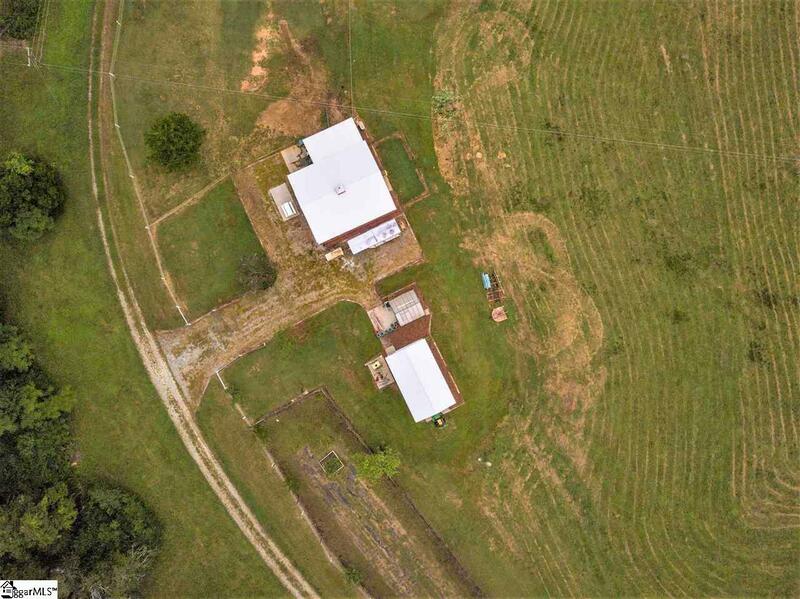 The two-stall custom built "run-in barn has insulated (walls, roof/ceilings) and features a 12 roll-up door, metal entry door, a 12x12 hay storage area, feed room, a 12x12 horse shower area, a large tack room w/ kitchenette, bathroom, sink, shower, washer/dryer, instant hot water heater, window air conditioning unit, and a sleeping loft. The barn can easily be converted to 4-stalls. 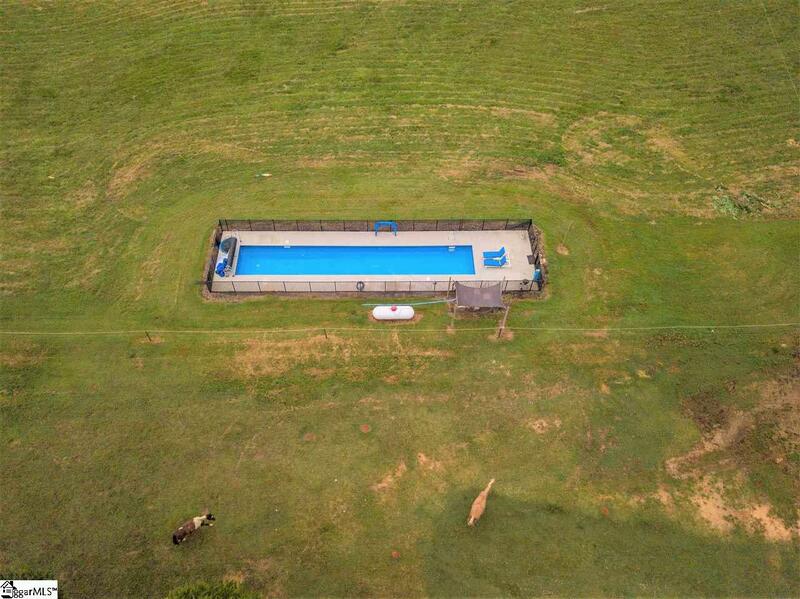 There is a 60x10 heated lap pool w/ salt water "Intelichlor chlorinator system, concrete deck, commercial grade solar blanket and stainless steel reel for storage: all equipment is top of the line Pentair with a high efficiency, low amperage motor. Also on the property is a 12x12 Victorian glass greenhouse (currently growing orange and lime trees) with water and electricity imported from British Columbia with a concrete floor and automatic fan for ventilation. There is a 31x18x12 metal building with concrete floor for storage of a tractor, lawnmower and implements or can be converted to 4-stalls. If you enjoy farming, there is a high-fenced (to keep the deer out), graded garden area (60x30) for large scale farming, fully irrigated. This garden area currently holds apple, pear, and peach trees. You will also find an irrigation system for the lawn around the barn, metal building, greenhouse, and pool. Water is run from the street to the barn w/ 2 piping. There are also 3 frost-proof spigots in the cement staging areas. 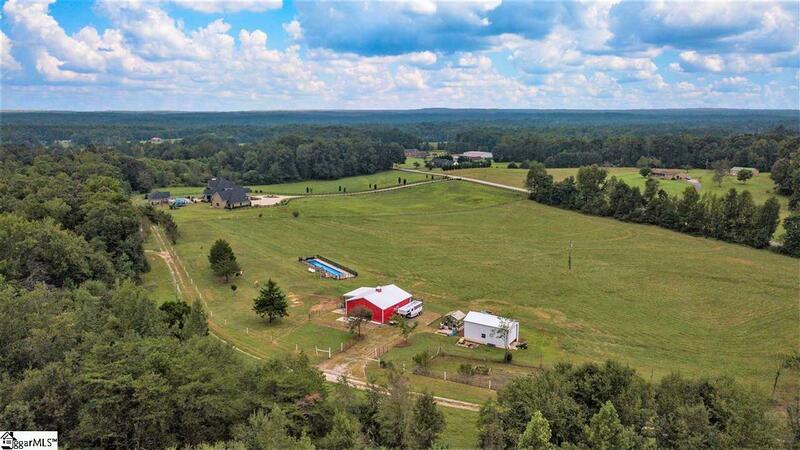 This property is located within 30 minutes from the Tryon Equestrian Center, BMW, Centrum, Michelin, Furman University, Greenville, state parks, fishing lakes, and more! Schedule a tour today!